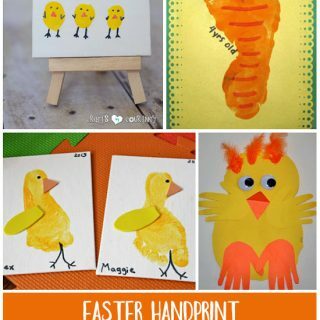 Do you have a child that doesn’t like to get paint on their hands? This is the perfect craft for them! 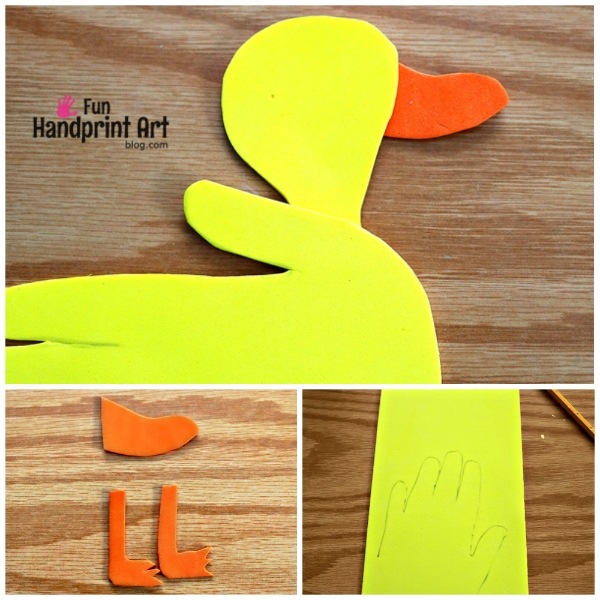 Make a hand shaped duck from craft foam. One of my kids favorites is the adorable kids book, Ruby in her own time. 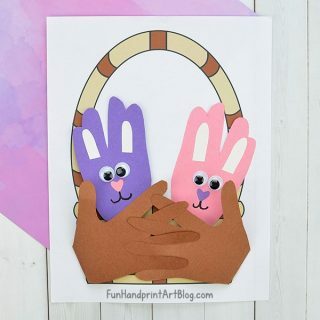 This craft is inspired by the main character. This adorable story follows a family of ducks, the two parents and their five children. One of the children seems to do everything a bit slower than the other four ducks with worries the papa duck. Mama duck assures him that she will do it in her own time….and she does! 1. Trace the hand onto the yellow craft foam. Cut out. 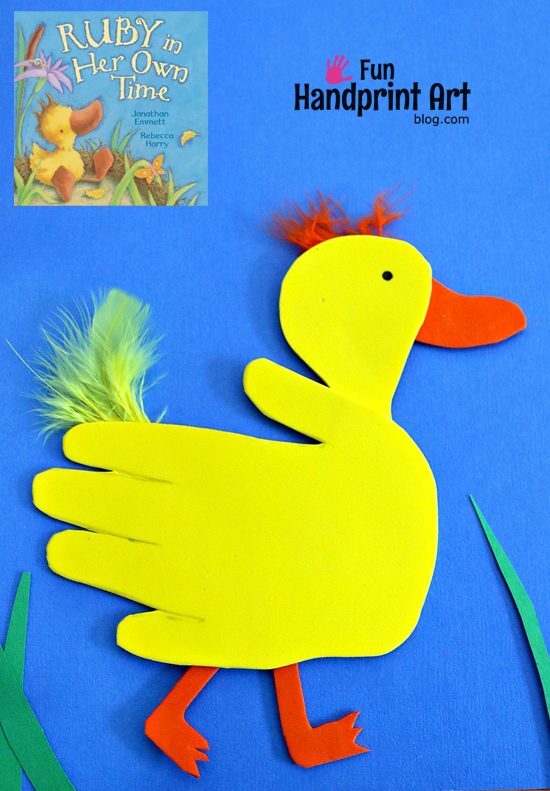 2.Use the scrap piece to cut out a head and neck shape for the duck. 3. 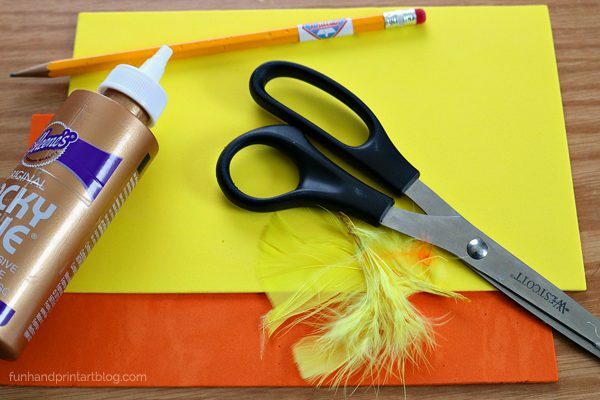 Draw feet and a beak on the orange craft foam. Cut out. 4. Place the hand sideways. The hand is the body and fluffy tail of the duck. 5. Glue the head , feet and beak pieces into place. 6. Glue feathers to the head. 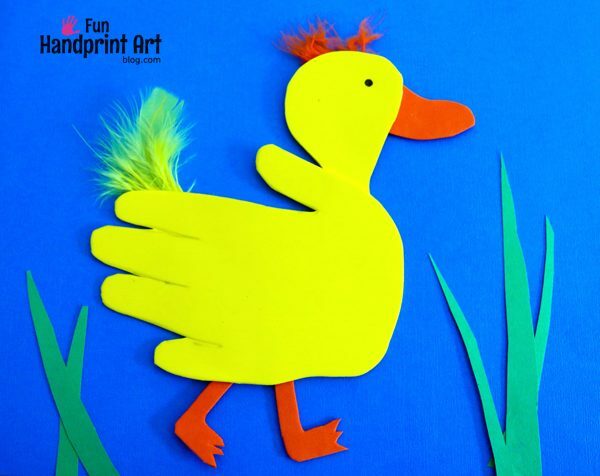 If you prefer paint over the craft foam paper, check out our handprint duck paper plate craft and our rainy day duck.